Some truly rare wines are about to go under the hammer–and chances are they would survive even if that were literally true. 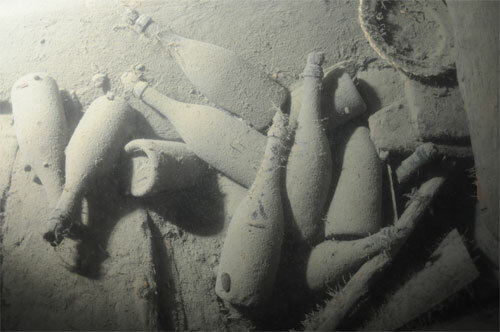 Coming up in June, two bottles of champagne (Veuve Clicquot and Juglar) salvaged from a 19th-century shipwreck will be auctioned off. The apparently indestructible bottles are sure to fetch a hefty price. 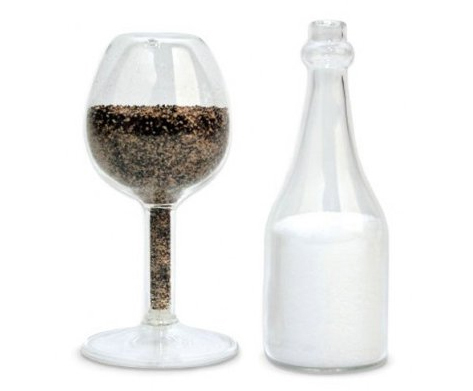 Food just wouldn’t be the same without salt and pepper. Neither would many drinks. From ‘salt on the rim’ to a nice peppery bloody mary, the two spices add a depth of flavor that is unbeatable. 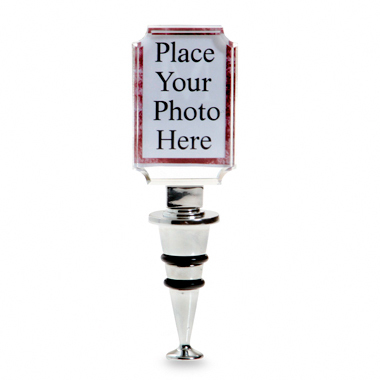 Makes perfect sense to wrap ‘em up in the shape of a wine glass and bottle, right? If you agree, the Kikkerland Cheers Salt and Pepper Shakers could be yours. Cheers. 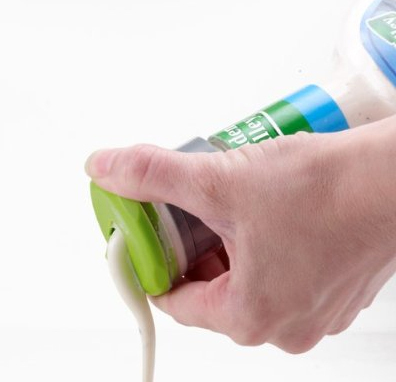 Not all squeeze bottles are made the same. 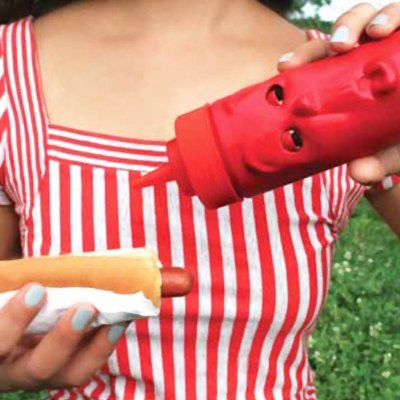 Some, like ketchup, have lids with a hole in the center to constrict the flow while squeezing. And then some don’t. Salad dressings are often packaged in bottles that don’t have appropriate lids. So, you squeeze and always get more dressing than salad in the bowl. Hot Dog Hut Says Play Ball!